Binod’s students in Upper Dolpa in the High Himalayas live a semi-nomadic life. So staying in a classroom and the curriculum itself are strange to them. The region is isolated, and the students’ language – Kham-Tibetan – and culture are quite different from Binod’s own, which is Nepali. He has worked hard to provide context for his students, relating his teaching to their everyday experiences. When he first went to Upper Dolpa in 2005 to teach, the civil war in Nepal was at its peak. The region barely had any state presence, and the nearest road was 8-10 days’ walk away. He took two flights and walked for eight days, crossing two 5000m mountain passes, to get to villages with no electricity or telecommunication. The region is culturally marginalised. Basic infrastructure and facilities don’t exist and the school system has neglected local customs and seasonal patterns of work and migration. Against that background, Binod’s work in improving literacy and numeracy in the villages of Upper Dolpa has only become possible because he has been accepted by the community. They call him “Sir of the Himalayas,” in their local language. Their trust and confidence inspires in him the determination to work despite the challenges of logistics and terrain. Beyond Upper Dolpa, his story and teaching have inspired thousands of children across the country. Education has to be relevant for it to be useful. 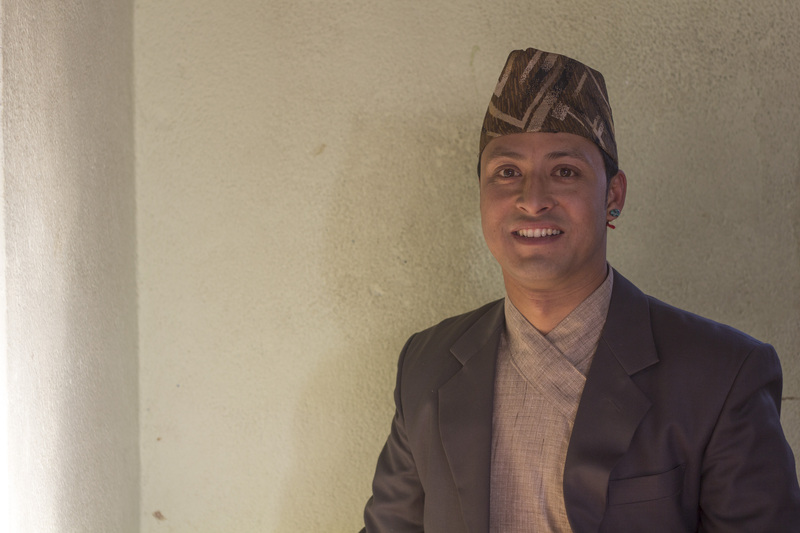 Understanding the geographic limitations and resource constraints in mountain communities of Dolpa, Binod is committed to developing an education curriculum that is relevant to the local people and their way of life.